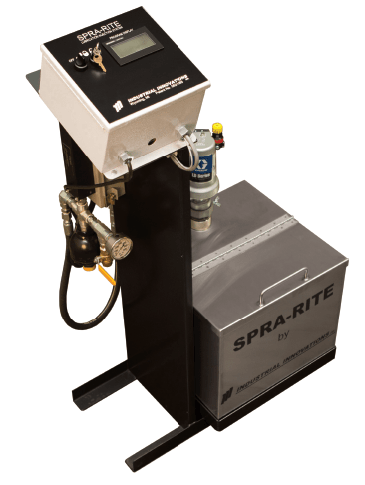 SPRA-RITE™ High Pressure Lubricant and Coolant Spray Systems regulate volume of lubricant applied at specific areas of stamping or drawing tooling and or the stock at a pre-determined press stroke interval. The injector valves which are micro-processor controlled ELIMINATE all the poppets o-rings and check valves found in less effective application devices. PRECISE application of lubricant and the elimination of DOWNTIME are achieved through the use of these state-of-the-art components.